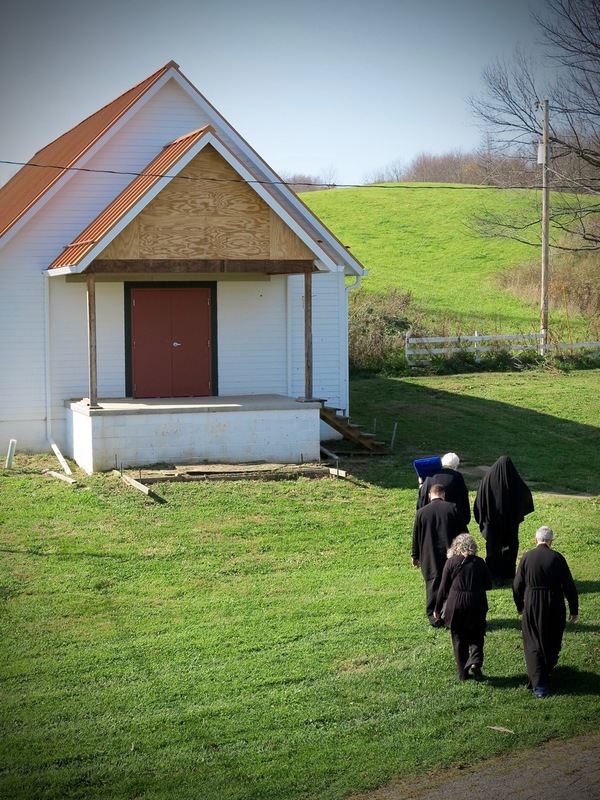 The Skete of the Entrance of the Theotokos to the Temple (women, GOA), in Hayesville Ohio, is a country walk down the road from St. Gregory Palamas Monastery, its older and larger sibling. 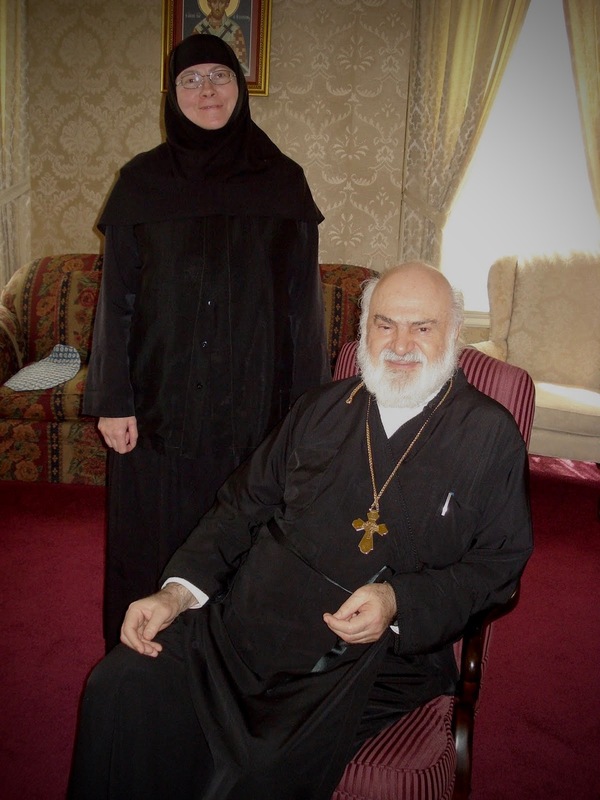 Gerondissa Theadelphi and Metropolitan Maximos of Pittsburgh. 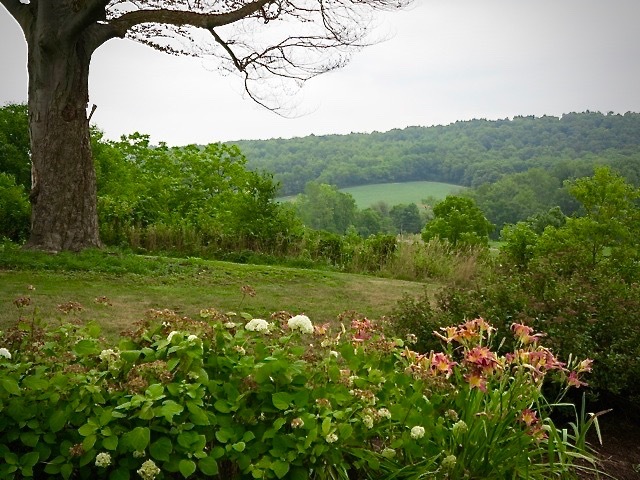 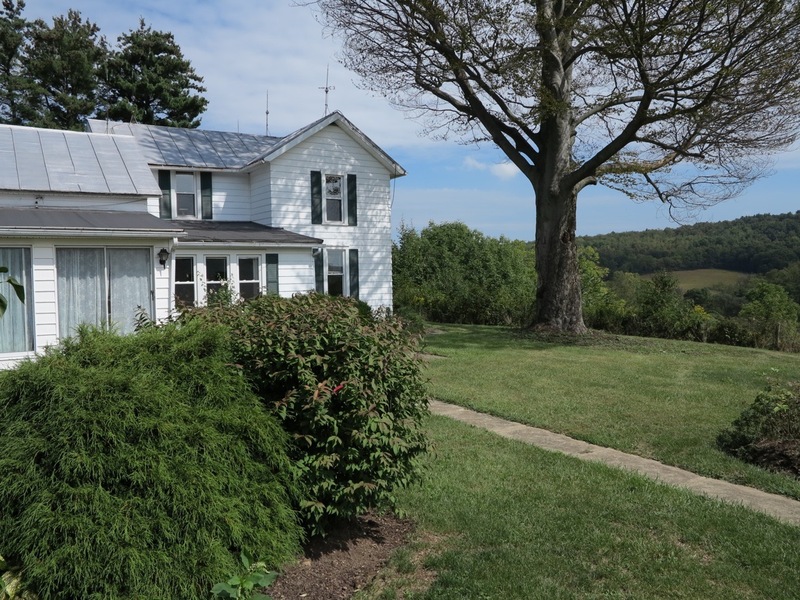 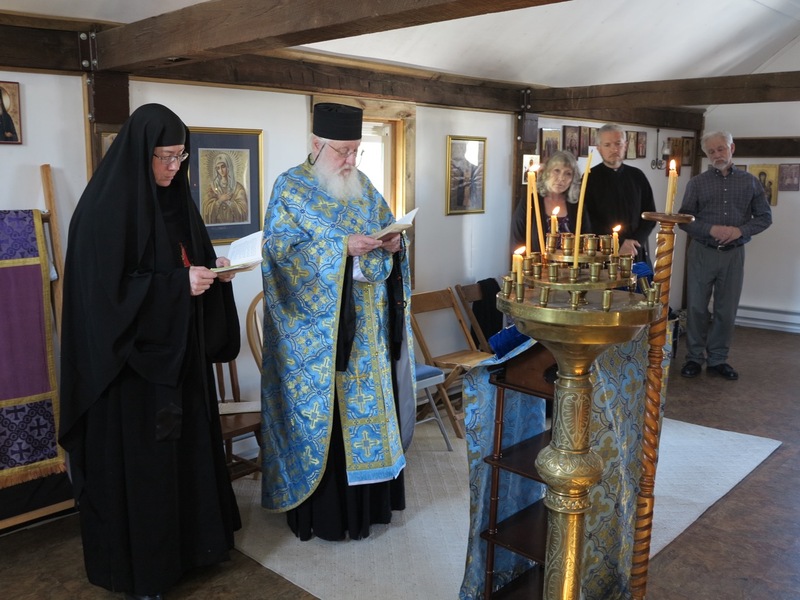 Founded by Metropolitan Maximos of Pittsburgh in 2001, the Skete of the Entrance is blessed with significant tillable farmland. 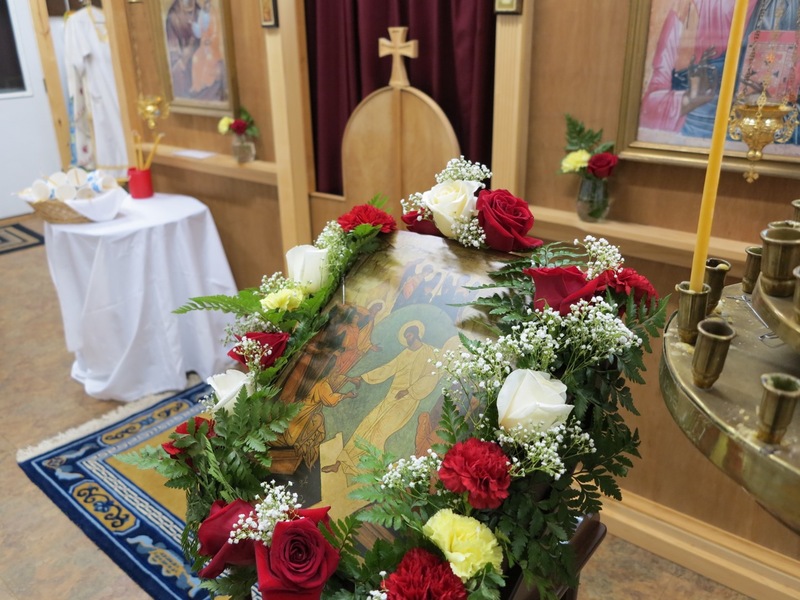 As at St Gregory Palamas, the services are in English. 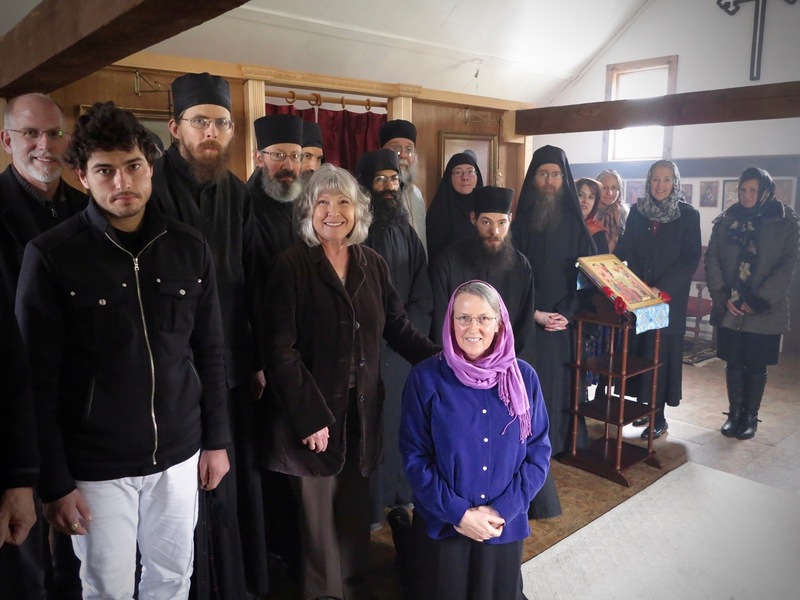 Gerondissa Theadelphi, the abbess, has supervised the successful building of a new chapel, and envisions the Skete as playing a missionary role in the northern Ohio region. 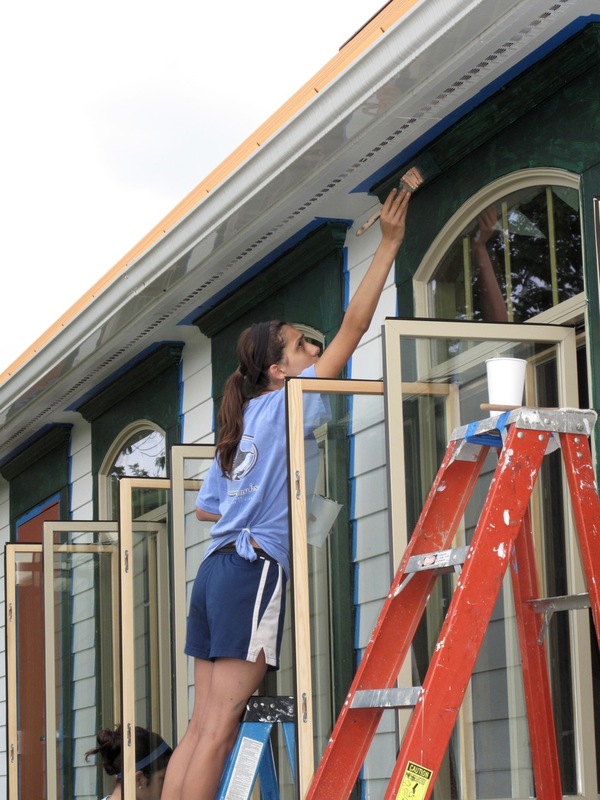 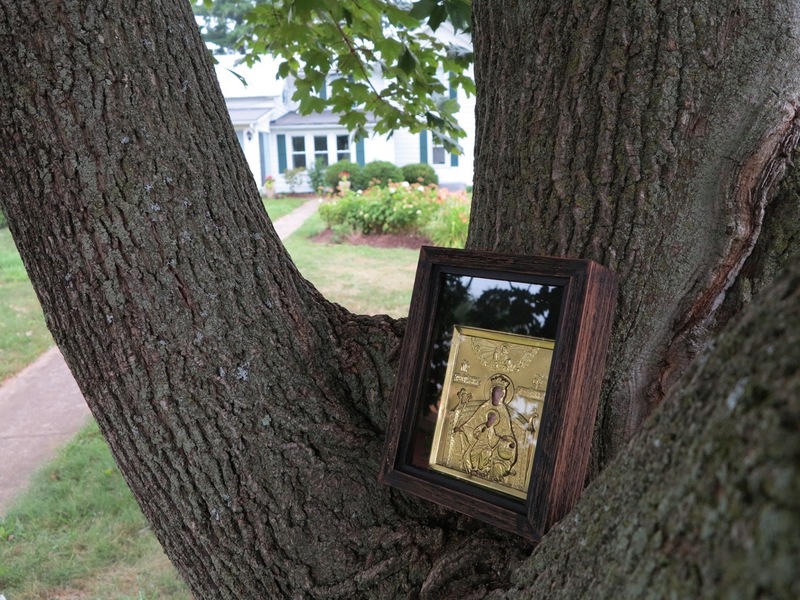 You will see below early fruits of this goal, through photos of the Skete’s Teen Mission Week, which ran for several consecutive years thanks to a partnership with a Cleveland parish. 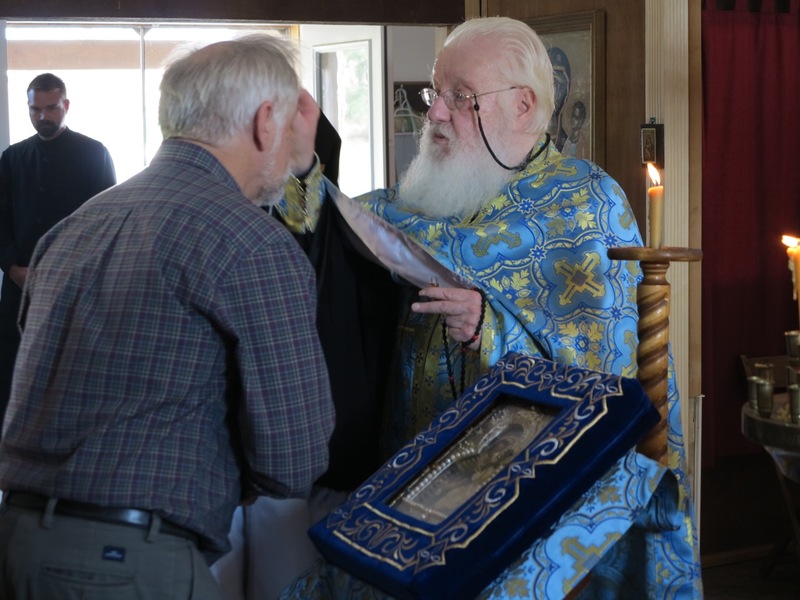 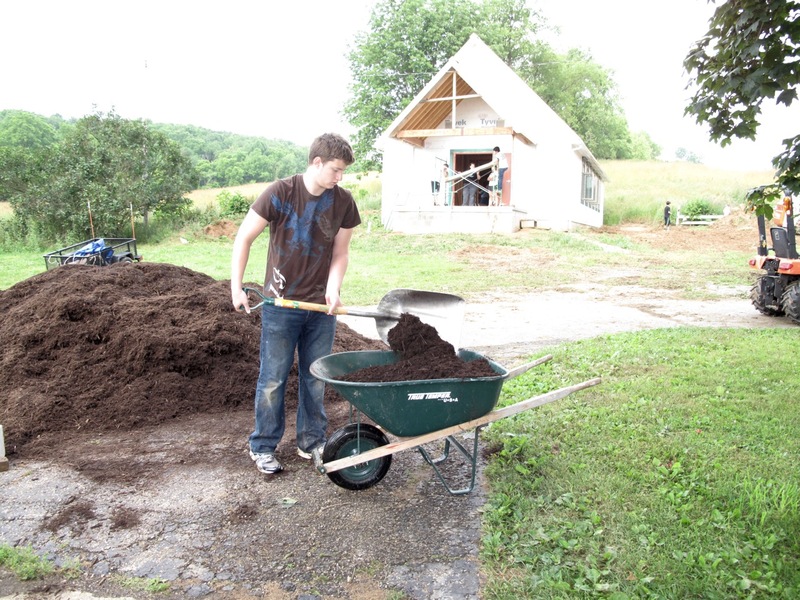 A skete is smaller than a monastery, sometimes with only a couple or few monastics keeping the cycle of services and tending to the needs of the community. 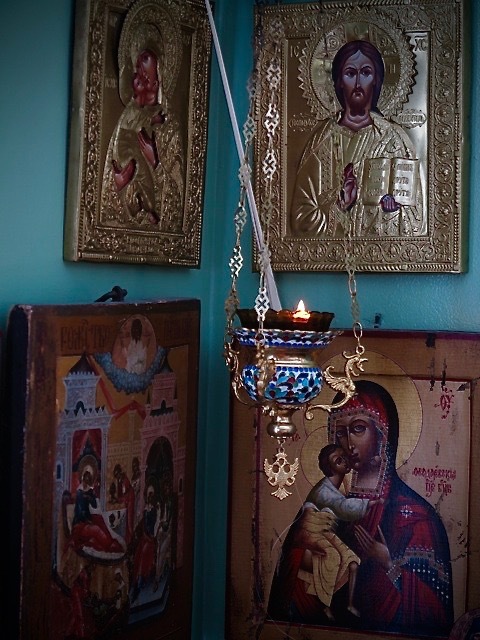 The Skete of the Entrance blesses visitors with a profound stillness, and has the character of a hesychasterion, an oasis of peace where one can retreat from the noise of the world. 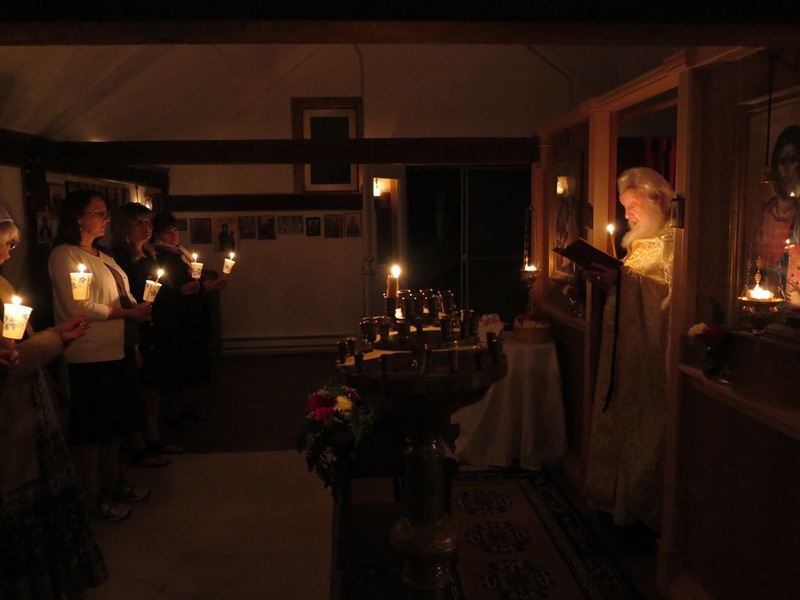 You may visit the Skete website here, and are encouraged to contact Abbess Theadelphi to schedule a retreat or enquire about the monastic life. 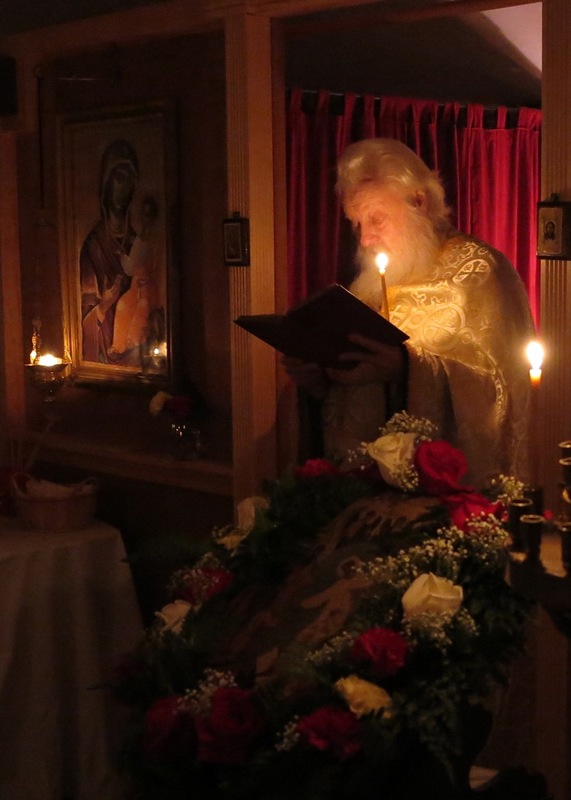 Feast of the Entrance of the Theotokos in the Temple, Nov. 21, 2015; Mother Abbess Theadelphi, center, with Fr Joseph and members of the St Gregory Palamas Monastery Brotherhood, and pilgrims and friends of the Skete, immediately following the Divine Liturgy. 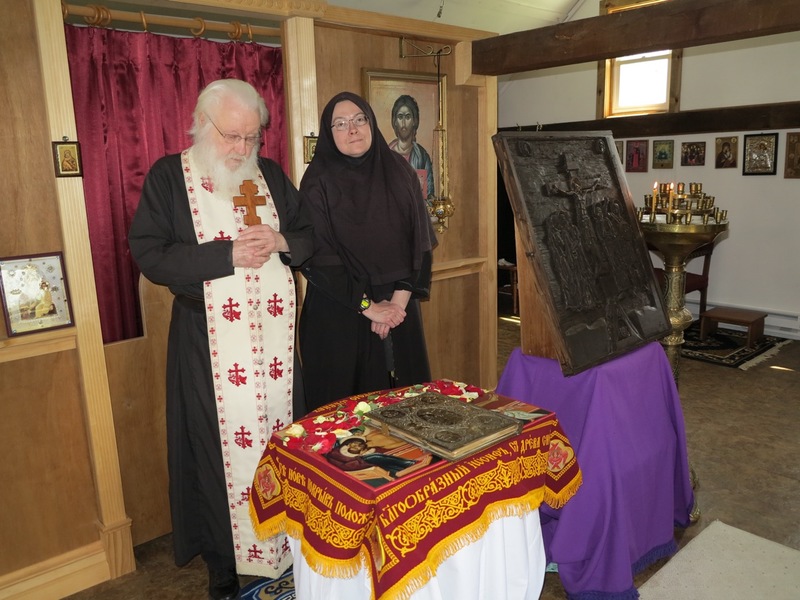 Abbess Theadelphi (right) and Schemahieromonk Ambrose, Holy Friday 2013. 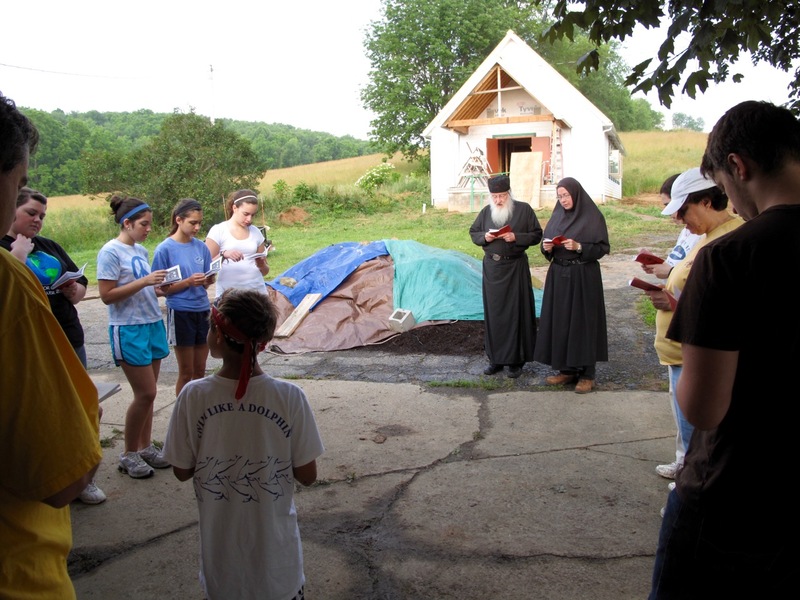 Teen Mission Week, Morning Prayers — This and the next several photos are from the Skete’s 2011 Teen Mission Week. 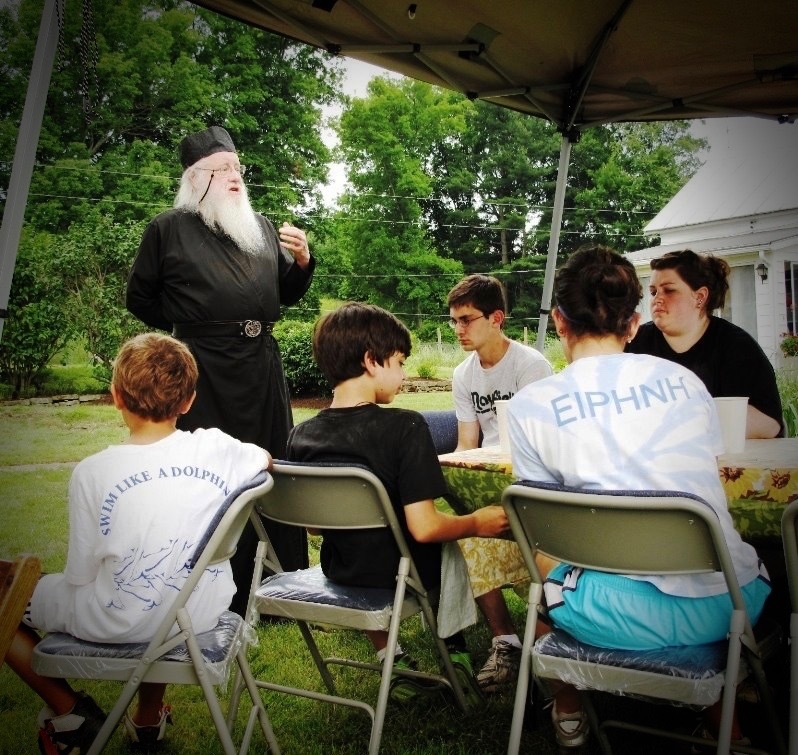 An annual event for several years, the Skete would host a youth group from a nearby parish (Cleveland in this case), who would come for several days of spiritual instruction, morning and evening services, and physical activities away from the world. 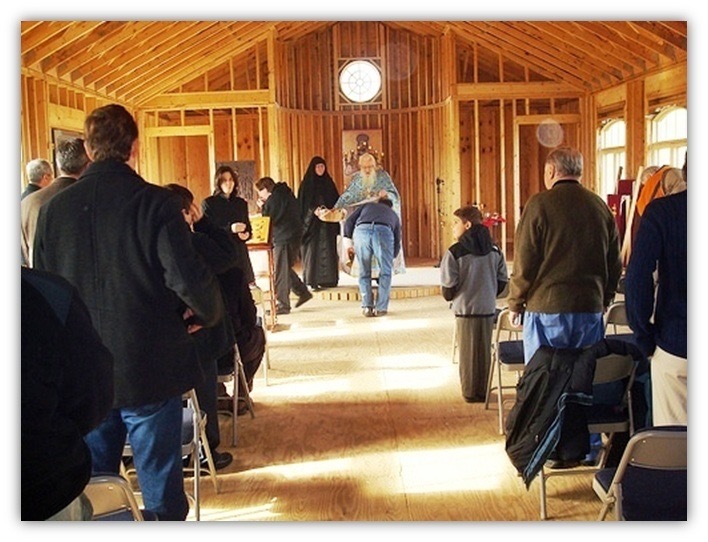 The teens also helped work on the new Skete chapel (which has since been completed). 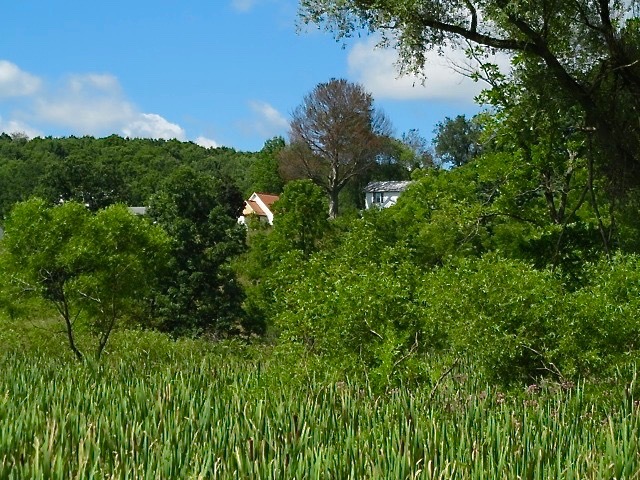 A nearby campground was utilized for housing.